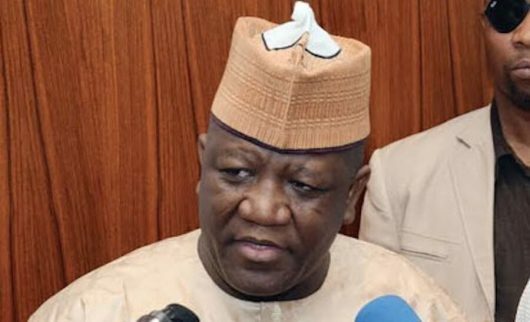 Governor Abdul’Aziz Yari Abubakar of Zamfara state has directed security agencies in the state to within seven days from yesterday (Monday) ensure all Internally Displaced Persons (IDPs) in the state are evacuated to their respective homes. Yari, who spoke with newsmen shortly after a security meeting held at his Talata Mafara personal residence yesterday with security Chiefs and the 17 emirs of the state, gave the directive as normalcy has returned to their villages. “He said since peace has returned to all the affected communities, there is no need for the IDPs to remain in the various camps across the state”, Governor Yari has stressed. He further informed that, well armed security personnel will remain in the affected villages with a view to ensure total control of their affairs were put under both three tiers of governments as according to laws of the nation. “We must ensure that peace return to Zamfara state as so far, we witnessed over 21,000 internally displaced persons in Maradun, Shinkafi, Zurmi and Tsafe local government areas, and we realized that, the IDPs preferred to go home than to remain in the camps”. Meanwhile, Governor Yari has been decorated as the state grand patrol for Police Community Relations Committee by the state commissioner of police Mr. Kenneth Ebrimson during the meeting.